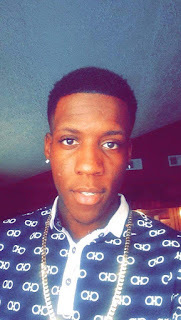 $1,000 Reward for Suspects in Raymond Edwards Jr's death in Allendale | Crime Stoppers of the Lowcountry: 554-1111 | 1-888-CRIME-SC | Anonymous tips earn cash rewards with Crime Stoppers of the Lowcountry. Crime Stoppers of the Lowcountry is now offering a $1,000 reward for information in the case of the shooting death of Raymond Edwards Jr in Allendale. Raymond’s family members have donated this money for anyone that will come forward with information that leads to the arrest of the person/s that is responsible for his murder. On Nov. 28th, 2016, the Allendale County Coroner's Office confirms one person is dead after reports of a shooting and a crash in the City of Allendale. According to the Allendale Police Department, deputies responded to a call about shots fired near Highway 301 and Gum Street around 4:54 p.m. Monday. Responders found a vehicle crashed into a home with one person in the car at Gum and Mill Street. The coroner's office and the South Carolina Law Enforcement Division were called to the scene to investigate. One neighbor, Warren Graham, lost part of his fence in the accident. He says, "I heard a boom and he took half my fence, and took my back fence down and he land over there in my neighbor's yard. According to Allendale Police Chief John Sullivan, they are still working to gather information on any possible suspects. Sullivan also says SLED is now in charge of the investigation. Crime Stoppers of the Lowcountry was advised by the family that they believe that someone knows something because there were several witnesses to the event as well as it happening during day light hours. SLED feels that there are those that know about this case and hope that this will be an incentive to provide information since they will remain anonymous, never go to court and could receive a reward.